Urban Mountain Adventures | Knapsack Creative Co.
Have you ever wondered what it would be like to pack a van full of kids with no rock climbing experience and rappel them off the side of a cliff? 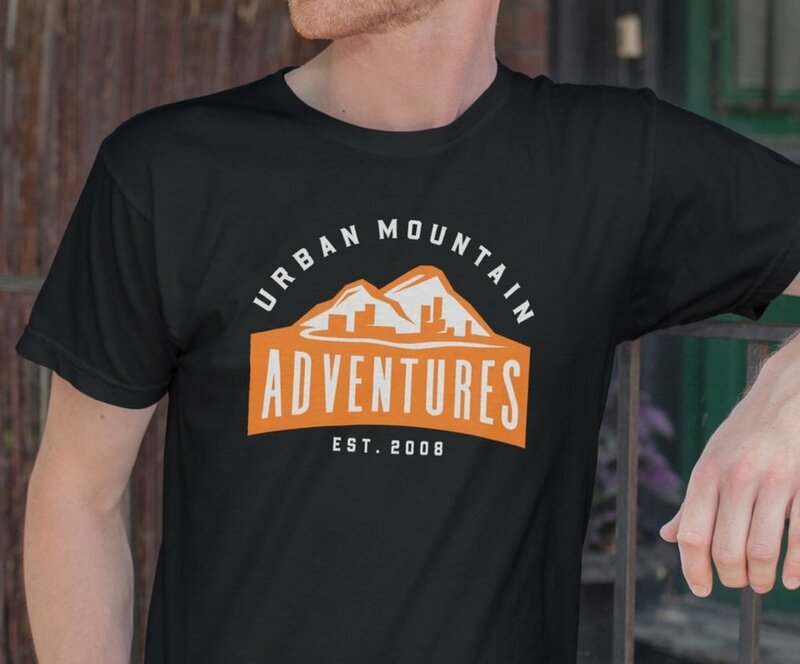 If you have, the team from Urban Mountain Adventures would be the crew to ask. We here at Knapsack are personally invested in a lot of outdoor activities and were hooked right away when we heard how Urban Mountain Adventures (UMA) is investing in the lives of kids in our local urban communities. 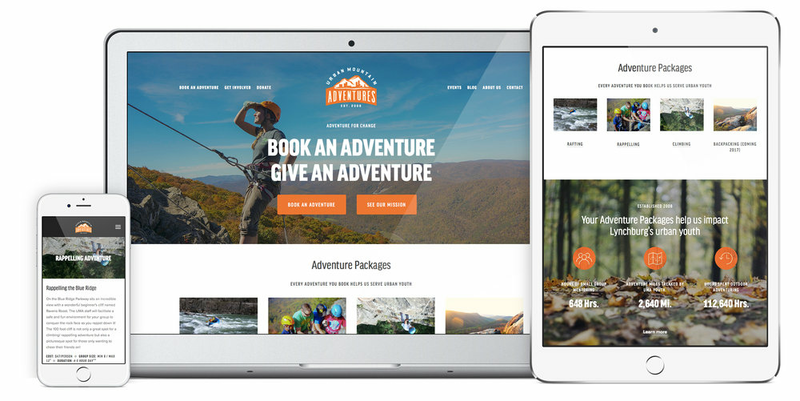 Taking kids with with no previous experience backpacking, rock climbing, rappelling, and white water rafting free of charge is no small feat and we wanted to be a part of putting a fresh, new face on a tired site and brand. 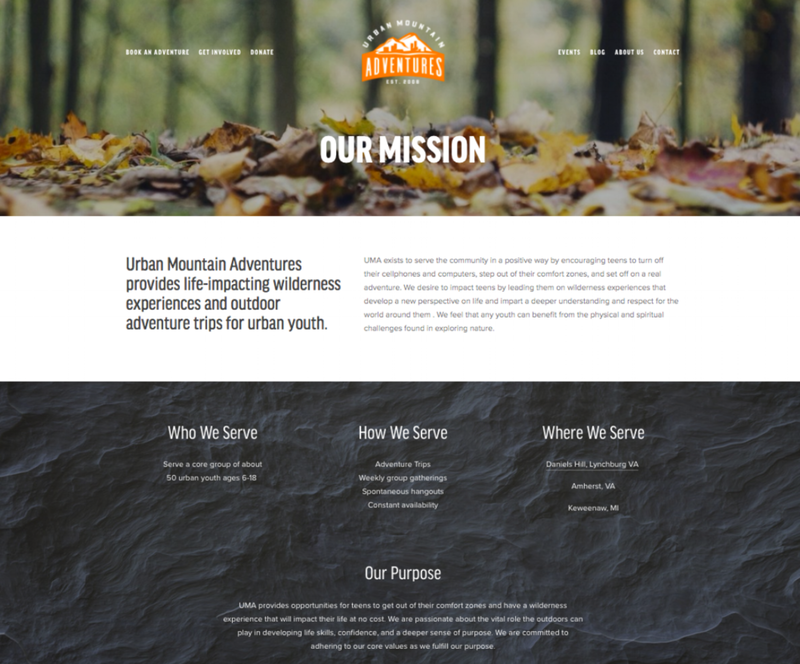 As an outdoor adventure organization, Urban Mountain Adventures wanted their logo to be rugged, reflect the nearby Blue Ridge Mountains, and include certain nuances of their home base, Lynchburg, Virginia. After working through several iterations of the logo, our Squarespace designers took it to the site and gave it a professional touch using the new branding and colors. We felt honored to be a part of what UMA is doing here in Lynchburg and other parts of the U.S. 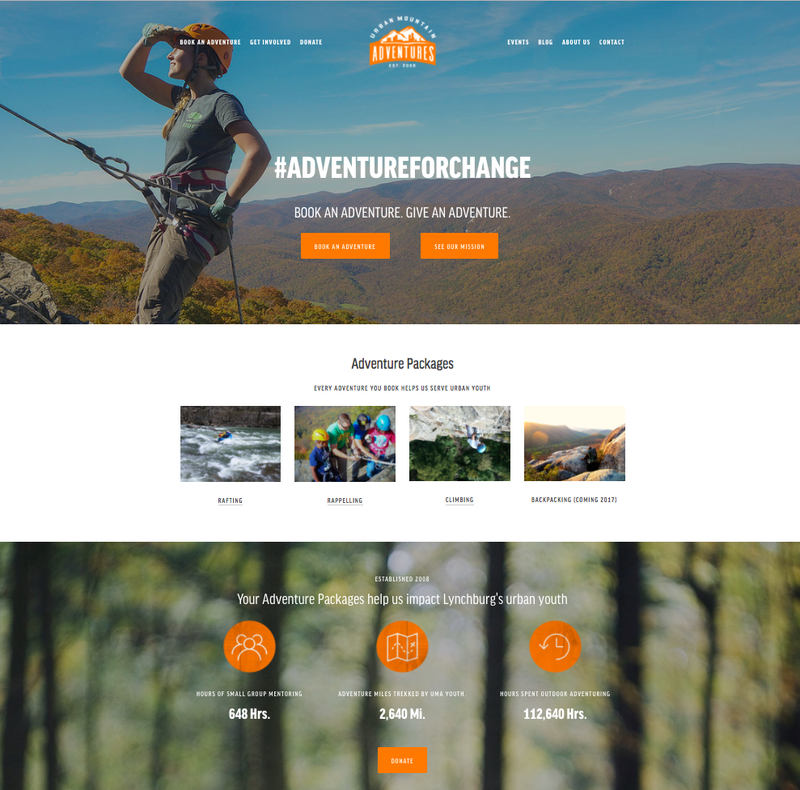 The new website has made it possible for them to feature their new adventures packages (open to the public), so if you’re interested in being a part of their movement or just want to take part in an adventure, visit Urban Mountain Adventures for more information.